Home / Opinion / Who Should be Between the Posts for Real Madrid this Season? Although Jose Mourinho’s time at the Bernabeu ended in acrimony as his overly negative, defensive, and cynical tactics caused him to alienate or fall-out with many of the team’s highest profile players (including his countryman, Cristiano Ronaldo), the Portuguese coach left a considerable tactical legacy in Madrid. Indeed, Real’s achievement of la decima last season owes some debt to Mourinho’s time in charge. 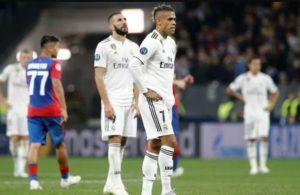 After all, Ancelotti inherited a far stronger squad with far stronger tactical foundations than Mourinho did when he assumed the running at the Bernabeu from Manuel Pellegrini in May, 2010. Though Mourinho failed to clinch la decima, he did overhaul Guardiola and Barcelona atop the La Liga table, amassing a record points total in the process – an achievement, in this writer’s opinion, too frequently overlooked. Mourinho’s legacy, both positive and negative, persists at Real to this day. Undoubtedly one of the most enduring contributions that the Portuguese made to the running of the current team, however, was his decision to drop Iker Casillas as the club’s first team goalkeeper and bring Diego Lopez into the fold. In ostensive terms it was surely a good managerial call. Diego Lopez has performed consistently excellently for Madrid since returning to his boyhood club via Villareal and Sevilla in January, 2013. Lopez, now 32, has looked every inch a Real Madrid keeper since steeping in for Casillas during his long-term injury in the winter of 2013, and his performances meant that the Spain and Real Captain has been unable to reclaim his place as undisputed No; 1. Lopez and Casillas were rotated under Mourinho with the former playing the regular season La Liga fixtures and the latter deputizing in Europe. Real now had two world class keepers seemingly working in tandem to guard the Real Madrid goal. On the surface, therefore, the Lopez addition was another demonstration of Mourinho’s tactical nous. Nevertheless, the decision to drop Casillas in La Liga was a powerful symbolic move born, if we are to believe Diego Torres’ recent publication, to a large extent from a personal mistrust of the Spanish Captain. Bench goalkeeper in La Liga was a position that few would ever have envisaged Casillas finding himself in while still at the peak of his powers when he broke through to the Madrid first team more than a decade ago as a nineteen-year-old. The youngster’s star rose rapidly from claiming his place as the Real No; 1 in the 2002 Champions League triumph against Leverkusen, and he was soon near universally regarded, along with Buffon, as one of the finest stoppers in European football. Casillas became a symbol of the new Spain, the dominant world football power. He captained the country two consecutive European Championships in 2008 and ’12, and lifted the World Cup with la Roja in 2010. Meanwhile Casillas has claimed five La Liga titles and three Champions Leagues with Madrid. But since being relegated as first choice keeper under Mourinho, Casillas’ form has tailed off radically. His shocking performances with Spain in the recent World Cup in Brazil demonstrated this clearly as did his nearly costing Real the tournament in last season’s Champions League Final. The fact that Ancelotti did not restore Casillas as an automatic starter in goal when he succeeded Mourinho may indicate that Mourinho’s decision to drop his Captain was likely not born solely of personal animosity. Rather the Portuguese seemed to anticipate a decline in form that has, unfortunately from Casillas’ point of view, come to pass. Casillas will remain a legend both for Real and Spain and perhaps it was his dropping that served to shatter his confidence and form. Nevertheless, the days of ranking Casillas alongside the likes of Manuel Neuer and Thibaut Courtois are long gone. Madridistas everywhere may now have to face the fact that Lopez is the superior keeper. 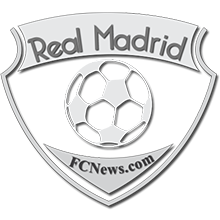 ← Previous Story What does the Future hold for Karim Benzema?